The Bruins’ top line of Patrice Bergeron, Brad Marchand, and David Pastrnak has been dazzling through the first seven games of the season, contributing heavily to their 4-3 start. Bergeron leads the way with 6 goals and 7 assists for 13 points, while Marchand and Pastrnak have posted 12 and 11 points, respectively, through 7 games. All three players are currently top ten in points for the entire league. 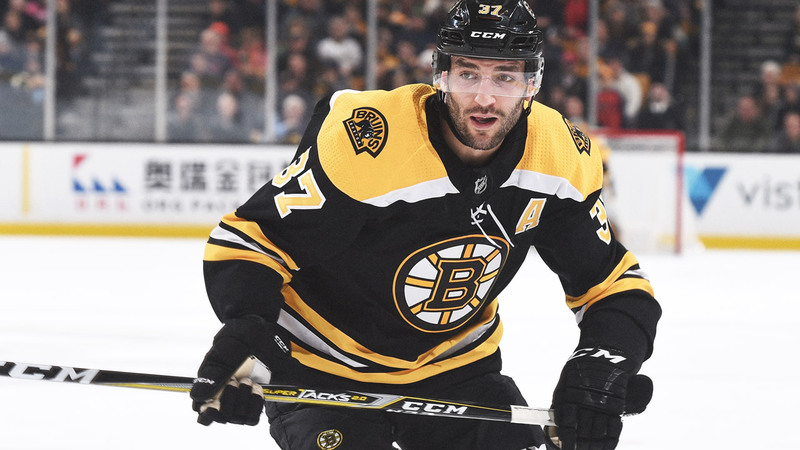 The Bruins will look to this top line throughout the season to lead the offense day in and day out, something they have certainly been doing thus far. The line’s mixture of young talent and veteran leadership has cemented them as one of the NHL’s most entertaining and skilled offensive lines. Their success is not much of a surprise to anyone. When two highly skilled veteran all-stars, Patrice Bergeron and Brad Marchand, are paired with one of the NHL’s most talented young forwards, David Pastrnak, good things are bound to happen. In my opinion, this is one of the best, if not the best line in all of hockey. They are an elite group that comes in every night and puts up points. But it doesn’t stop in the offensive zone. The most underrated part of this line is how hard they play in their own zone. This is largely because of Patrice Bergeron’s style of play. He’s won the Frank J. Selke Trophy four times out of the last season seasons as the best defensive forward in the league. Marchand and Pastrnak know this and are inclined to play just as hard in the defensive zone as Bergeron. These three guys feed off of one another and really make each other better; it’s incredibly fun to watch. It is vital that they continue their success in order to keep the Bruins at the top of the standings in the East. After dropping their last two against Calgary and Edmonton, the Bruins are back in action this Saturday when they’ll take on the Canucks. Look for Marchand, Bergeron, and Pastrnak to put up multiple points against a Canucks team that hasn’t made the playoffs in the last three seasons.